While they add warmth and coziness to a room, especially on cool fall and winter evenings, fireplaces aren’t all ambiance. Did you know that, according to some experts, fireplaces are often bad for the environment? According to the Environmental Protection Agency (EPA), the smoke you see coming out of a chimney indicates that the fuel in the fireplace below has not burned completely. Chimney smoke is a mixture of gas and particles that can cause health problems, especially when the particles typically measure anywhere between 2.5 and 10 micrometers in diameter. Some of the gases emitted from wood smoke include sulfur oxide, nitrogen oxide and carbon monoxide. When inhaled, these gases can infect the heart and the lungs, causing such illnesses as asthma, coronary artery disease and cancer, sometimes even resulting in heart failure. With Washington being the only state in the country to enforce fireplace emissions testing, the EPA created a voluntary Low Mass Wood-Burning Fireplace Program geared toward manufacturers located throughout the rest of the United States. It is the hope of the EPA that factories distribute cleaner, low-mass fireplaces in order to improve the air quality all over the country. Essentially, if a given state won’t do it, it’s up to the EPA and the fireplace manufacturers to help the environment. When a fireplace passes the EPA’s test, its packaging is stamped with either an orange or white tag. The orange tag means that the fireplace meets the Phase 1 (above average) emission levels and the white tag signifies that the fireplace meets Phase 2 (better than above average) emission levels. No matter which tag has been placed on a fireplace, you will know that those specific models were tested by an EPA-accredited lab, and they are cleaner (and greener) than other models. 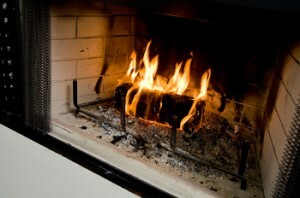 For a complete guide to eco-friendly, EPA-approved fireplaces, visit www.epa.gov/woodstoves.